ESIRC is jointly managed by the Institutional Repository (IR) Coordinator and Head of Technical Services at the William Allen White Library. Further assistance is provided by members of the ESU Scholarly Communication Committee (SCC). These aforementioned individuals serve as system administers and will review submissions as needed to ensure that they comply with the collection development guidelines. Be advised, however, that members of management are not responsible for content-level decisions. Individual contributors are ultimately responsible for such decisions. Thus, they should ensure that they meet collection development guidelines and adhere to university policies covering privacy and copyright. ESIRC is jointly managed by the Institutional Repository (IR) Coordinator and Head of Technical Services at the William Allen White Library. Further assistance is provided by members of the ESU Scholarly Communication Committee (SCC). These aforementioned individuals serve as system administers and will review submissions as needed to ensure that they comply with the collection development guidelines. Be advised, however, that members of management are not responsible for content-level decisions. Individual contributors are ultimately responsible such decisions. Thus, they should ensure that they meet collection development guidelines and adhere to university policies covering privacy and copyright. Multidisciplinary journal. 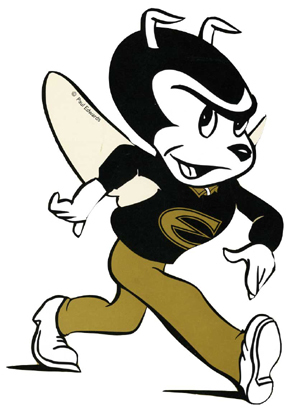 Fomerly known as "Kansas State Teachers College of Emporia Bulletin of Information" (1930-1946). Biannual journal published by the Center for Great Plains Studies and the College of Liberal Arts and Sciences at ESU. Formerly known as "Heritage of Kansas" (1957-1967). Enter some text in the box below to search ESIRC.